I wanted to read “Coraline” by Neil Gaiman (ISBN 0061139378; 162p. ; Goodreads) for an eternity now. But I kept postponing it, because Gaiman, sometimes, feels like Murakami: I can never be sure if I liked it or not, do I want more of what I’ve just read or not. But I worried for nothing. It was a fun book, and I enjoyed it. Coraline and her family move into a house that has been separated into flats. It’s an old house, with plenty to explore inside, and outside. But as time goes by, and Coraline’s family doesn’t have enough time to play with her, Coraline is slowly but surely running out of ideas. It’s only that many times that she can visit the neighbors without bothering them, after all. And she already counted all the windows, found all the blue things, and, tasked by her mother, looked what’s behind every door. All except one. That one is locked. Her mother claims there’s a wall separating their flat from their neighbors there. But ever since the key was turned, and the door got left unlocked, strange things began to happen. This was a fun story, a bit scary at times, but otherwise really entertaining. The ending left me wanting, as if it was missing a chapter, or at least 20 more pages, but it is as it is. 4 out of 5 from me, solid! I really did enjoy American Gods, so when I noticed Anansi Boys by Neil Gaiman (ISBN 0060515198; 384p. ; Goodreads) marked as second book, I had to take it. But this one lacked the charm American Gods had, and is absolutely not a sequel of any kind. Merely the setting is the same, but you can read or not read either one – they’re not connected with anything but the fact: there’s gods here. Fat Charlie’s father has died. And while he’s not too heartbroken about it, this death keeps ruining his life! First he finds out his father was actually a Spider God. Then, that he has a brother. Then this brother turns out to be much cooler, and way more interesting than Charlie. People can’t tell them apart, and yet they obviously prefer this brother. His boss, and his fiance too… And then it turns out that this brother, is not even a brother. He’s a little more. And a little less. Charlie, hating what his life is becoming, decides to root out what he sees as the cause of the fall. This brother of his. For that he has to get deeper into this White Rabbit Hole Alice once went, see more of these divine beings, and strike a very, very stupid bargain, with a very, very malicious being. Be careful what you wish for. Or, you know, how you phrase your wishes. The book is not too good, but easy to read. One can take it for a light piece on the go, no matter whether one has read American Gods or not. This has neither spoilers, nor is otherwise connected. Sparingly I can give it 4 out of 5, it’s not bad, just not good either. You know, I’m really starting to like Neil Gaiman, a lot. It started with American Gods, because all the stuff that I read before didn’t leave too great of an impression of the author. And now, after “Norse Mythology” (ASIN B01HQA6EOC; 304p. ; Goodreads) I’m thinking what of his I could try next. Book tells Norse Myths, as title suggests, of Viking Gods: Odin, Loki, Thor, and many more. It’s told as a story, not as myths are usually told, and while wonderful, and great at times, on other occasions it’s hilarious to the point where I laughed out loud. These guys get in all kinds of trouble and adventures, especially the younger gods. For instance, one day Thor wakes up to find his wife – bald. Who could’ve done it? Of course. Loki. And why? Well, because it’s kinda funny… So Thor promises him to break every single bone in his body, if he doesn’t get his wife’s hair back. And since he never done that, it might really, really hurt and take a lot of time. But he’s sure that he can get better with practice! So Loki runs off, to dwarves, the only folk who might really have the skill to make hair… And I promise, truly, not all stories are about Loki getting hurt. The book is very funny, and finished with a cycle turn: a story of Ragnarok and what follows after. I truly recommend it to anyone who’s in the market for something funny, light, and just good. 5 out of 5, hands down. Took me one whole other book and a forever to finish this book club assignment. Yet I must admit, the “Good Omens” by Terry Pratchett and Neil Gaiman (ISBN 0060853980; 430p. ; Goodreads) was a pretty damn nice and jolly read (yes, I said “jolly”). That, or I am extremely biased by another Crowley character being a guy with some serious sense of humor and class (and kinda gay if I let my imagination run wild). Crowley is given the task of delivering the baby to satanist nuns. Doing so with a heavy heart, as heavy as a demon heart can get, he didn’t exactly expect to be running around wild, eleven years later, trying to find that same child. I mean, just how hard can it be to keep a track record of a child who shapes reality, and has a huge hell hound following him around? Well, apparently fairly hard if the child wasn’t, in fact, introduced to Heaven or Hell concepts. Demon Crowley and Angel Aziraphael are the only souls under Heaven and above Hell who see the flaw in the whole “final war” plan. Either side winning means a great deal of losses. Not just because Heaven lacks good music, or Hell lacks decent entertainment other than soul torturing. It’s mostly because humans are a fairly plentiful source of fun. They write books, they make nice cars… And all that – gone? I’ve been reading this book at day time, and at night time I’d go read Anne Rice’s “Memnoch the Devil”, and the two just fit so well together. There’s the Devil telling his story, here’s the Crowley trying to find Devil’s son. 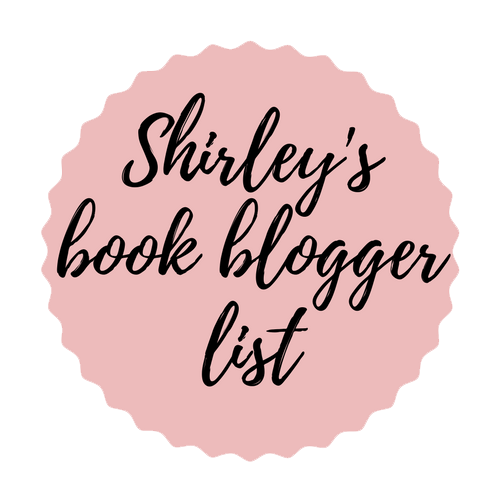 But taking all that away, since one book has nothing to do with the next, I did like Good Omens a plenty, and will give it whole 5 out of 5, for I can’t see exactly where I could take anything away. Also I have this odd urge to paint Crowley in that one moment, where tension was breaking his physical self apart, for he had only his power of will keeping his favorite car moving and not falling apart. Once, I didn’t buy this book because it had a  on it’s narrow little back. Then someone explained me that it means nothing, for I thought the book might be split in two and I just can’t see the first part. But by the time I figured it out, I couldn’t find it in the stores anymore and I wasn’t much up to seek it second-hand. 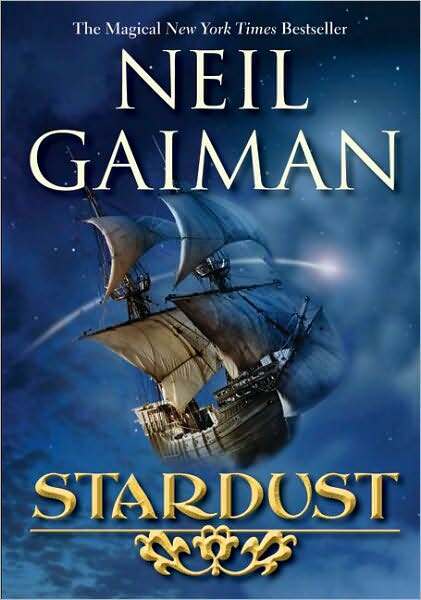 Thus only quite recently I bought Neil Gaiman “Stardust”, for around 3 dollars on sale. Likely one of the last copies of this particular translation. Most have probably already watched the movie by same title, based on this book, thus right away I will say – I liked the movie better. The book was a tiny bit too slow paced for me. Lots of walking and general “going” somewhere, which is hard to fill, yet since Davit Gaider in his Dragon Age series managed, I thought maybe Neil Gaiman might be as good as Tolkien in it. Sadly, this book is an exception, YET! It’s still a wonderful book. Tristram, our forever hungry and starving hero was always somehow odd among the people in The Wall Village (pardon me if I misspell things, as I said, I read translation of this book). Yet just like every other male in there, he fell in love with the beautiful and secretly shallow Victoria. In fact, he was so crazy about her, that one night, walking her home, when they saw a falling star somewhere behind The Wall, he asked her if she’d agree to marry him were he to bring that star back to her. Victoria, thinking the boy mad – agreed, laughing aloud, not really expecting him to actually go, not that anyone would allow him to pass the breach in the Wall anyways, it’s always guarded, and if, by some miracle, he did venture out – he’d most likely die in the Fairy-Tale land beyond The Wall. But Tristram managed to get out. He even managed to find the Star. Problem is, the Star isn’t a diamond or any stone at all, as he expected. In fact, she doesn’t want to go with him… And yet many others wish to find her, including the Witch Queens! There’s plenty adventure, thus don’t get me wrong when I say the book is slow. There are murderous trees, Lions fighting Unicorns for crowns, brothers, hunting each other down for a chance to rule Stormhold, wicked witches and pirates in the sky. It’s a great and simple book, definitely something one can rest their minds with. Make yourself a cup of cocoa, find yourself a nice, well lit spot where people would allow you some peace, and go ahead. I’ll give it only 4 out of 5, but I’m quite happy I bought it and have my own copy.